She spoke broadly about police brutality against young Ethiopian men and emphasized that while only 2% of the population in Israel, Ethiopian young people make up 60% of the population in juvenile detention facilities. I was struck in this moment with a sickening, yet somehow validating sense of déjà vu. I recognized these statistics. I know that African Americans in the US face a similar plight. In hearing her speak to some of these issues, I heard some of the same emotions I myself experience when discussing racial issues here in the US. I heard in her the same passion I feel when discussing instances of injustice against my people. 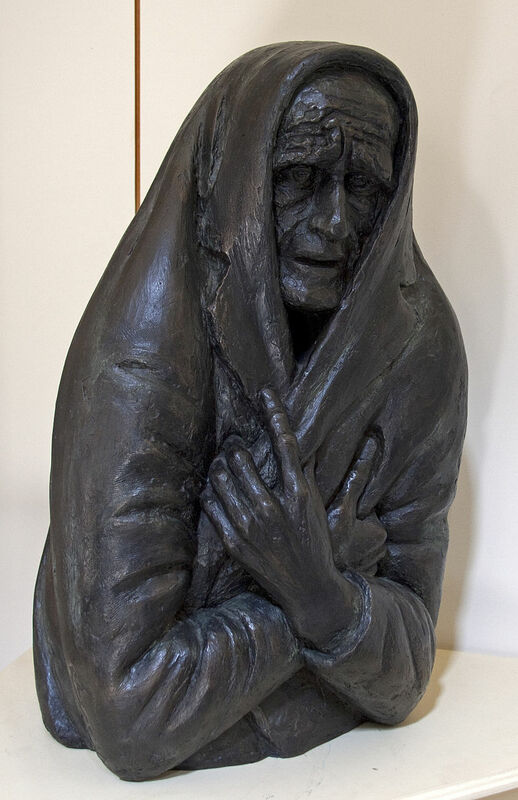 I heard her pain when she told us how people would say that Ethiopians should feel lucky to only be experiencing minor levels of racism because they are the only group of black people not brought by force into a country and compelled into slavery. I felt her frustration when she emphasized that speaking out on these issues, she is often met with the same reaction as if she had stated a belief in little green aliens and UFOs… I have myself been written off as a radical idealist who plays the race card all too frequently. I have been faced with those who would rather police my tone than address and confront the truth in my statements. So, imagine my utter lack of shock when our very own tour guide immediately dismissed Mazal as radical and gave an open invitation to our tour group to take her opinion with a grain of salt not granted to any of the other speakers we had seen thus far. One beautiful memorial that served as a beacon of hope was the Avenue of the Righteous, a garden of trees dedicated to individuals and families who risked their lives in order to help save others during the holocaust. This serves as a reminder that we all need to take responsibility in standing up for others although it is still incomprehensible how such an inhumane tragedy could have occurred, there are many parallels to today’s society. It is important that we continue to educate ourselves about the past to ensure that these kinds of atrocities never happen again. As you stand on a platform, pictures of 600 Jewish victims are above you and below the platform is a well. Around you there are binders that contain approximately 2.2 million pages of testimony about the more than 6 million Jews who perished in the Holocaust. Sadly the room is not full, recognizing that some of the names of those who perished have not been discovered..In this room I felt the impact and scale of the Holocaust far more than any museum, film, or book has made me feel before. Exiting this room, you once again walk into light, but this time it’s the light from the view of the State of Israel. 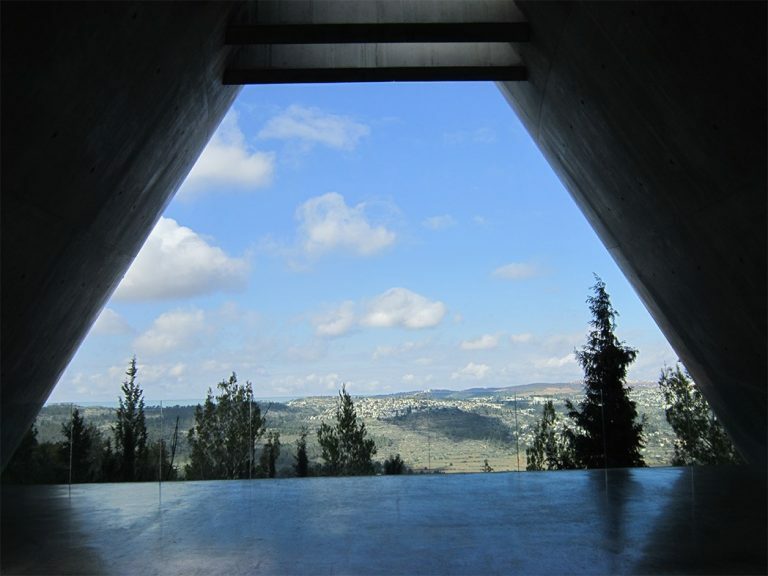 This view of the Jewish state looks different than the one when you entered the museum, in more ways than one. His father felt the prosecution and execution of Eichmann had not been successful because he saw no indications of a deterrence effect from the trial in preventing genocides…This statement remains true to this day with modern day genocides, (i.e. Myanmar, South Sudan, and Central Africa); the handful of prosecutions to actually occur will not be sufficient to deter genocide. The example provided by the Eichmann trial will remain a standard for the international criminal justice system when dealing with genocide. This semester in Professor Lisa Mazzie’s Advanced Legal Writing: Writing for Law Practice seminar, students are required to write one blog post on a law- or law school-related topic of their choice. Writing blog posts as a lawyer is a great way to practice writing skills, and to do so in a way that allows the writer a little more freedom to showcase his or her own voice, and—eventually for these students—a great way to maintain visibility as a legal professional. Here is one of those blog posts, this one written by 3L Andrea Jahimiak. On February 22, 2017, six individuals who identify as either Black or Latino filed a class‑action lawsuit against the City of Milwaukee, the Milwaukee Fire and Police Commission (“FPC”), and Police Chief Edward Flynn. The plaintiffs allege that their constitutional rights were violated when they were unlawfully stopped, frisked, or both, by Milwaukee Police Department (“MPD”) officers. Together, the plaintiffs are seeking relief by way of the court: (1) declaring that the defendants’ stop and frisk policies, practices, and customs are unconstitutional; and, (2) ordering immediate and permanent suspension of such policies, practices, and customs. One of the plaintiffs alleged that her teenage son has been unlawfully stopped by an MPD officer on at least three occasions. The first unlawful stop took place when he was ten years old. Around noon in October 2010, D.A. walked to his friend’s home. When D.A. arrived at his friend’s home, he rang the doorbell, but no one answered. D.A. then used his cellphone to call his friend. While on the phone, an MPD officer walked up to D.A., put his arms around D.A. shoulder’s and walked D.A. to his squad car located in the nearby alley. The officer then forcibly removed D.A.’s phone from him, patted him down, and made D.A. put his hands on the hood of the squad car. The father of D.A.’s friend, a white male, ran out of the home. The father immediately asked the officer what was going on and asked why he was searching a child. The officer replied that he was making sure nothing was wrong. The officer then left. D.A.’s mother called the associated MPD district and spoke to the sergeant. D.A.’s mother demanded to know why a police officer stopped and frisked her ten-year-old son. The sergeant said that it was MPD policy to stop and frisk young men walking through alleys. Almost a year after filing suit, the ACLU of Wisconsin released three expert reports regarding the MPD’s stop and frisk policies, practices, and customs. The expert reports were conducted in relation to the ongoing class‑action lawsuit. Is it Time for More Than Just “Thoughts and Prayers”? By: Michael Van KleunenPosted on March 20, 2018 March 20, 2018 Categories Congress & Congressional Power, Federal Law & Legal System, Human Rights, Marquette Law School, President & Executive Branch, Public1 Comment on Is it Time for More Than Just “Thoughts and Prayers”? This semester in Professor Lisa Mazzie’s Advanced Legal Writing: Writing for Law Practice seminar, students are required to write one blog post on a law- or law school-related topic of their choice. Writing blog posts as a lawyer is a great way to practice writing skills, and to do so in a way that allows the writer a little more freedom to showcase his or her own voice, and—eventually for these students—a great way to maintain visibility as a legal professional. Here is the first of those blog posts, this one written by 2L Michael Van Kleunen. Since the high school shooting in Parkside, Florida, we have seen an arguably unprecedented response from citizens and politicians speaking out on the topic of gun control and the extent to which a policy should be implemented. However, the National Rifle Association (NRA) and other gun rights groups have maintained a strong stance against policies that limit the proliferation of guns in the United States, basing their argument on the Second Amendment. As the Chinese lawyer Jiang Tianyong painfully realized, a belief in the rule of law is commendable in one context but deplorable in another. While a belief in the rule of law has traditionally been honored in the dominant American ideology, the same belief is suspect given the dominant Chinese ideology. Jiang had been a prominent human rights lawyer in Beijing and represented a large number of Chinese dissidents, often with surprising success. His most famous client was perhaps Chen Guangcheng, an activist who fled house arrest and received asylum in the American Embassy. Most recently, Jiang represented a group of other human rights lawyers, who were being prosecuted for criticizing the government. 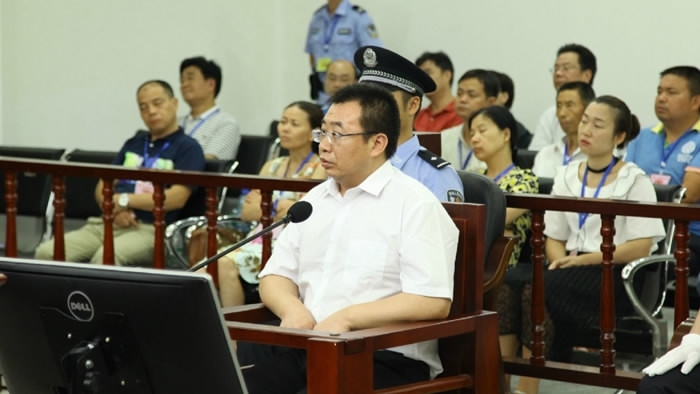 In late August, 2017, Jiang himself was convicted of inciting subversion and attempting to undermine the Chinese Communist Party. 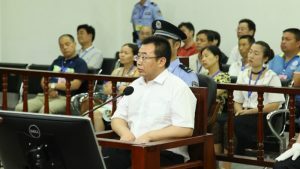 His trial as broadcast live on Weibo, a popular Chinese social media network, and highlights of the trial appeared daily on Chinese network television. In recent days, President Trump has declared that he would have the United States withdraw from the Paris climate accord. Business leaders like Elon Musk of Tesla have said that this decision would ultimately harm the economy by yielding the jobs of the future in clean energy to foreign competitors. I argue that withdrawing from the Paris climate accord also serves to exacerbate the climate migrant crisis that will inevitably hit American shores. The global environment has long impacted migration patterns. 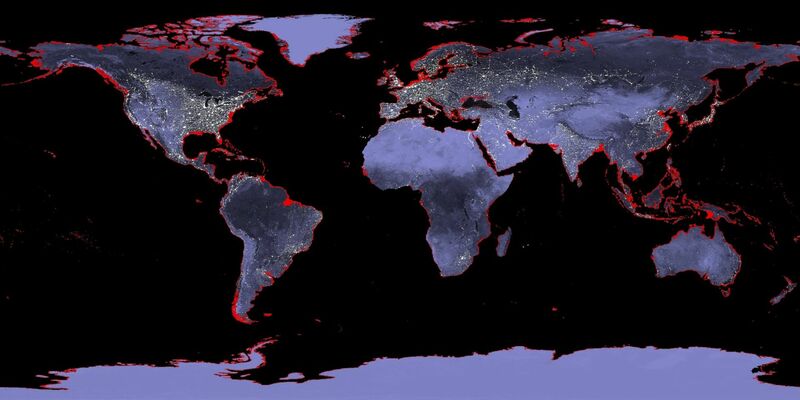 For instance, humans have historically left places when deteriorating conditions threatened their survival. However, accelerated effects from climate change are expected to bring about significant and unprecedented changes to global migration patterns. Climate change is rapidly destabilizing global environments,(1) resulting in increasingly more common rising oceans, longer and more frequent droughts, and higher temperatures. (2) Consequently, changes to global environments will inevitably dislocate people from their homes and nations. In fact, many communities have already started to suffer from the disastrous consequences of climate change. For example, in Gabura, Bangladesh, many of the three thousand people who live in this coastal region have been forced to move their homes onto skinny, man-made embankments to flee the rising ocean. (3) Yet because of increasingly cramped conditions and dwindling resources, villagers are unable to work, farm, and live as they traditionally have. (4) Unfortunately, there is no relief in sight, as scientists predict rising waters will completely submerge Gabura and at least seven percent of all Bangladesh before the end of the century. (5) Parallel stories of growing displacement caused by rising sea-levels,(6) more frequent droughts,(7) and retreating sea ice(8) are found in ever increasing numbers all around the globe. 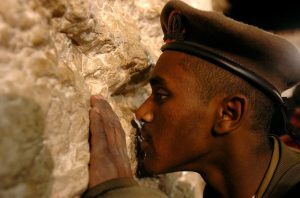 Before we even discussed paper topics prior to departing for Israel, thoughts about the conflict were already flooding my mind. Not the cliché thoughts of the obvious conflict, the talked about every day in the media conflict, but one that I had a more personal association with: identity. I believe that is why Oshra Friedman’s narrative engaged my curiosity. 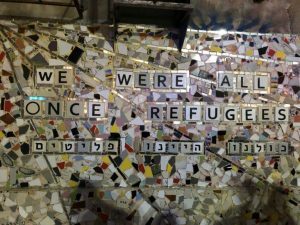 With the constant comments in public about my physical characteristics, one-second longer than comfortable gazes, and second-guess pseudo interrogations by people of authority—I was waiting at the edge of my chair to see how someone who looked different than every other person on the streets of Israel dealt with her diversity. 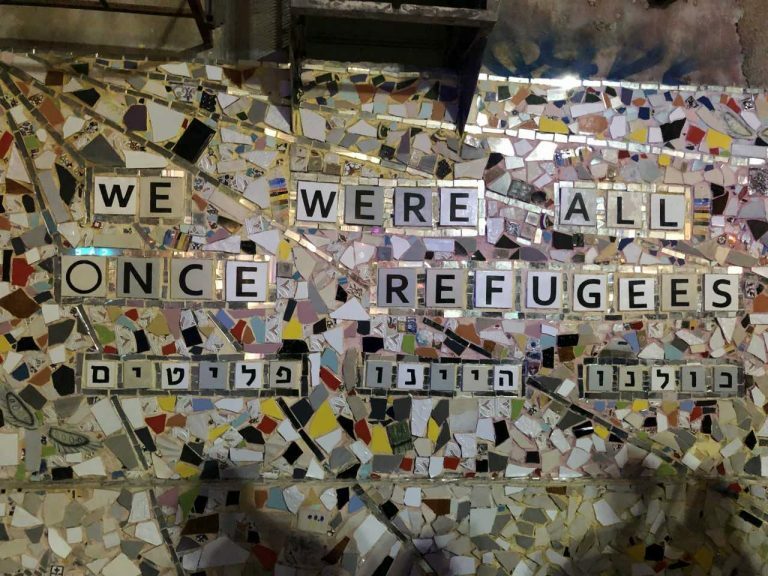 An immigrant from Ethiopia, whose parents refused to assimilate, who jumped forward too far because her community was too backwards, who didn’t succumb to gender norms, who married an Ashkenazi Israeli- this was a story I was all too familiar with; a familiarity not by exposure but by experience. 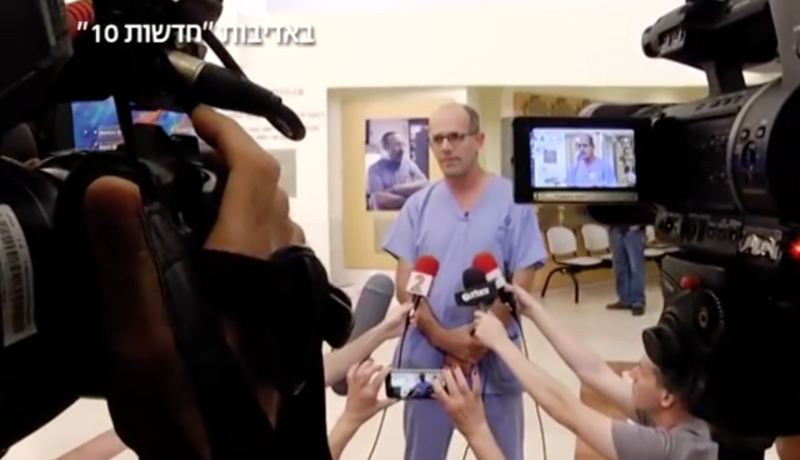 One other new visit this year was with Dr. Ofer Merin, a commander of the Israel Defense Force (IDF) Medical Field Unit and emergency room doctor at Shaare Zedek Medical Center in Jerusalem. As student Margo Clark notes, his roles often require both flexibility and understand beyond our immediate biases. Dr. Ofer Merin is the Chief of the IDF Field Hospital, which travels to different countries to offer assistance in times of need. One example of the IDF Field Hospital’s greatest accomplishments is its ability to be the only field hospital from a foreign country to help the Japanese people after they were devastated by a tsunami. Their success comes from the amount of flexibility and understanding that Dr. Merin and his team work under. Rather than pushing their own system, Dr. Merin and his team worked under and around Japanese law. Under Japanese law, it is illegal for a foreign doctor to treat a Japanese citizen. The team was flexible and put the Japanese people first. Their flexibility is exemplified by their assisting and enabling Japanese doctors to treat the large number of Japanese people who were in need. By foregoing their egos and putting understanding and flexibility first, Dr. Merin and his team were the only foreign field hospital team to be allowed to help the Japanese people. Here is a MSNBC news report showing the IDF work in Haiti from 2010. 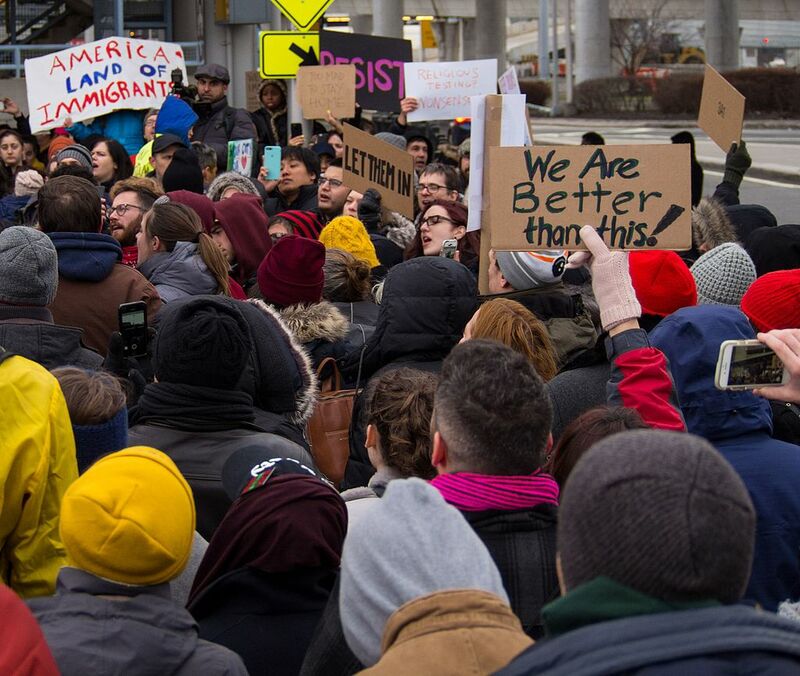 Yesterday, in a post on this Blog, I called President Trump’s Executive Order of January 27, 2017, “a rare trifecta of illegitimacy.” The rollout of the Executive Order has been confused, and its implementation uneven. Thus far, most Republican members of Congress have been silent on the legality of the Executive Order, even those Republicans who criticized Trump’s proposal to ban Muslim immigration during the presidential primaries. Notably, the Executive Order has received only tepid support from Senate Majority Leader Mitch McConnell. The Executive Order purports to “suspend entry” of all aliens into the United States who are nationals of specified countries. Media accounts describing the implementation of the Executive Order have focused thus far on the situation of individuals who are fleeing persecution being turned away at the United States border, and subsequently returned to their home country. 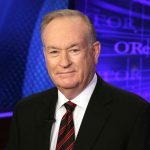 For example, reporters have underscored the plight of Iraqis who provided assistance to U.S. forces during the Iraq War, and who have expressed fear over their safety if they remain in Iraq. 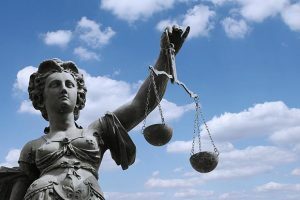 Let’s review a few basics about the Rule of Law in the United States of America. First of all, the Executive Branch (in the form of the President) is given the power to enforce federal law by our United States Constitution. In contrast, the Legislative Branch (in the form of the Congress) is given the power to make the law. 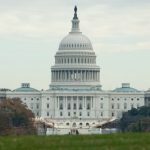 So, for example, if the Legislative Branch has passed a statute that grants all refugees seeking political asylum the absolute right to file such a claim when they reach our nation’s borders (which it has, in the Refugee Act of 1980), then the President cannot simply declare that right to be “suspended” and instruct officers with the Customs and Border Protection office to turn such refugees away when they arrive at U.S. airports or other ports of entry. As a side note, none of the Executive Orders or Presidential Directives issued by President Obama relating to the enforcement of the immigration laws directly contravened explicit language contained in a statute passed by Congress. The legal debate over the unilateral actions taken by President Obama concerned the scope of the President’s discretion to choose how to enforce the law and how to prioritize deportations. They did not concern whether the President had the authority to order government officials to ignore explicit commands contained in the law. The Order by President Trump to “suspend” the entry of refugees from specified countries without complying with the provisions required under the Refugee Act of 1980 is in direct conflict with an Act of Congress. Well, here we are, January 20, 2017, and Donald J. Trump has been sworn in as this nation’s 45th president, though he achieved that position by losing the popular vote by the widest margin of any winning candidate in recent history (2.9 million more people voted for Democratic candidate Hillary Clinton), and he arrives at his new position with the lowest approval rating of any president in recent history. As numerous others before me have written, President Trump’s campaign was not traditional in any number of ways, and I expect that his presidency will follow that trend. For some, that’s been the whole point. For others, that’s a less-than-inspiring harbinger. I wrote this summer about my concern about the candidate’s rhetoric, proposed policies, and the rule of law.